Or will I say something this time? 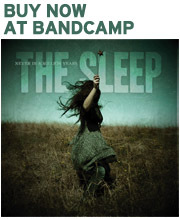 All songs written by The Sleep except “Blue Dress” written by M.L. Gore. Never in a Million Years by The Sleep is licensed under a Creative Commons Attribution-Share Alike 3.0 United States License except “Blue Dress.” Permissions beyond the scope of this license may be available at http://www.thesleep.net. For more information, please visit http://www.thesleep.net or email worksmithmail@gmail.com.